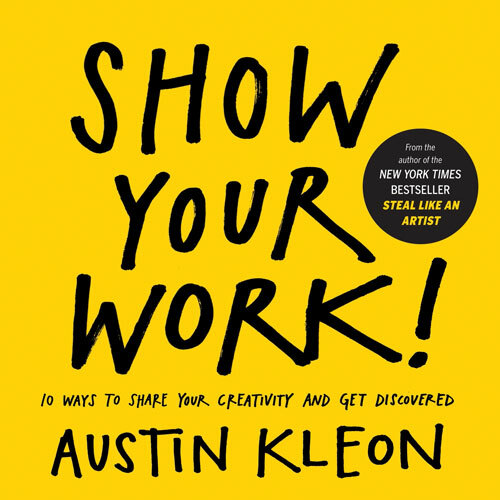 In 2012, artist Austin Kleon gave us Steal Like an Artist, a modern manifesto for combinatorial creativity that went on to become one of the best art books that year. He now returns with Show Your Work! (public library) — “a book for people who hate the very idea of self-promotion,” in which Kleon addresses with equal parts humility, honesty, and humor one of the quintessential questions of the creative life: How do you get “discovered”? In some ways, the book is the mirror-image of Kleon’s debut — rather than encouraging you to “steal” from others, meaning be influenced by them, it offers a blueprint to making your work influential enough to be theft-worthy. 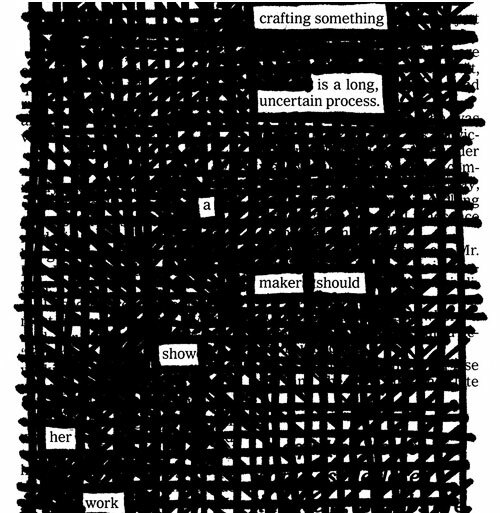 Complementing the advice is Kleon’s own artwork — his signature “newspaper blackout” poems — as a sort of meta-case for sharing as a modern art that requires courage, commitment, and creative integrity.